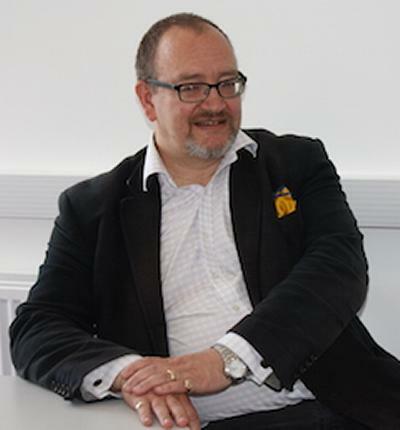 Dr Roy Edwards is Lecturer within Southampton Business School at the University of Southampton. While my teaching focuses on financial accounting and decision making, my research is focused on the history of decision making practices in government departments and firms. I am currently researching how government conceptualised industrial policy from the 1930’s to the 1970’s. This theme is also evident in research on the history of technical education – the story of skills, knowledge and learning in the British economy from 1870 to about 1992, exploring how approaches to technical education changed over this period. I am also interested in the development of the supply chain from 1919 to the early 1970’s and the changes in the business model of freight haulage and how this related to an implied regulatory model. I am also developing material on the morality of measurement, questioning how numbers are articulated within organisations and wider regulatory analysis. I am a co-founder of A2SN (Archive and Artefact Study Network) and have been involved in the organisation of two workshop, one held in 2012 at Derby Conference Centre (see this report on the event by a blogger) and the other in 2013 hosted by the City of London Corporation at the London Metropolitan Archives and the Port of London Authority archives at the Museum of London in Dockyards. The object of these events was to create networking opportunities between academics, heritage professionals and enthusiasts, with the aim of informing exhibitions etc and encouraging the use of archival material in both research and teaching. I have sat on the Executive of the Business Archives Council, (BAC) for the past 9 years, organising the BAC Wadsworth Prize for British business history and helping to implement the National strategy for business archives. I also co-present at the BAC event ‘Meet the Archivists’ with Dr Val Johnson of the National Archives. In 2013 I was invited to address the Centre for Economic and Business History at the University of Nottingham’s workshop on “Perspectives on Sources for Economic and Business History”. This activity has led to my being asked to provide advice and subject expertise to British Library collection specialists who are developing a content strategy for business history. As many business historians find themselves working in business and management schools there is a desire to encourage the ‘historical’ approach to research and teaching. I have been involved with Dr Kevin Tennent (University of York) in organising the Management and Business History track at the British Academy of Management (BAM). As a result of encouragement from BAM, we are in the process of turning this into a Special Interest Group. I welcome requests for PhD supervision relating to business, accounting and financial history and the role of information in decision making. Edwards, R. (Accepted/In press). ‘Keeping unbroken ways’: the role of the Railway Clearing House Secretariat in British freight transportation, c1923-c1947. Business History. Tiratsoo, N., Edwards, R., & Wilson, J. (2003). Shaping the content of business education in Great Britain, 1945-90: production engineers, accountants and shifting definitions of "Relevance". In R. P. Amdam, R. Kvalshaugen, & E. Larsen (Eds. ), Inside The Business Schools: The content of European Business Education (pp. 178-193). Copenhagen, DK: Copenhagen Business School Press. Crompton, G., & Edwards, R. (2005). Formal rules and mental models: the model of railway regulation c1921 - c1939. Paper presented at The History of Regulatory Failure, United Kingdom. Edwards, R. A. (2003). Formal rules, informal constraints: railway pricing in the interwar period. Paper presented at Association of Business Historians Conference 2003. 'Interactions & Exchanges: New Boundaries For Research and Teaching', . Edwards, R. (2007). Technological change and the transition from rail to road c1920 - c1939: an opportunity lost? (University of Southampton Discussion Papers in Management; No. M-07-17). Southampton, UK: University of Southampton. Edwards, R. (2000). Instruments of control, measures of output: contending approaches to the practice of "scientific" management on Britain's railways in the early twentieth century. (Discussion Papers in Accounting and Management Science; No. 00-163). Southampton, UK: University of Southampton.